This year marks the quincentennial of the death of Leonardo da Vinci, the Italian Renaissance master who died in May 1519. To celebrate the prodigious polymath’s life and work, museums are hosting special exhibitions and tour operators are taking travelers on Leonardo-inspired journeys across Western Europe. In the United Kingdom, the Royal Collection Trust opened a nationwide exhibition of drawings, “Leonardo da Vinci: A Life in Drawing,” earlier this month. Museums and galleries in 12 cities, from Belfast to Southampton, are each displaying 12 of Leonardo’s drawings through May 6. Then the entire collection will be shown, along with more than 50 additional drawings, at The Queen’s Gallery, in Buckingham Palace, until Oct. 13; this assemblage will form the largest exhibition of Leonardo’s work in more than 65 years. The exhibit’s last leg, from Nov. 22 until March 15, will showcase 80 drawings at the Queen’s Gallery, Palace of Holyroodhouse in Edinburgh, Scotland. The collection, curated to highlight the artist’s varied interests from engineering to botany, “allows us to enter one of the greatest minds in history,” said Martin Clayton, Head of Prints and Drawings for Royal Collection Trust. Italy will celebrate its native son with honorary exhibits across the country, and one of the most comprehensive will be “Leonardo da Vinci: Drawing the Future,” running from April 15 to July 14, at the Royal Museums of Turin. 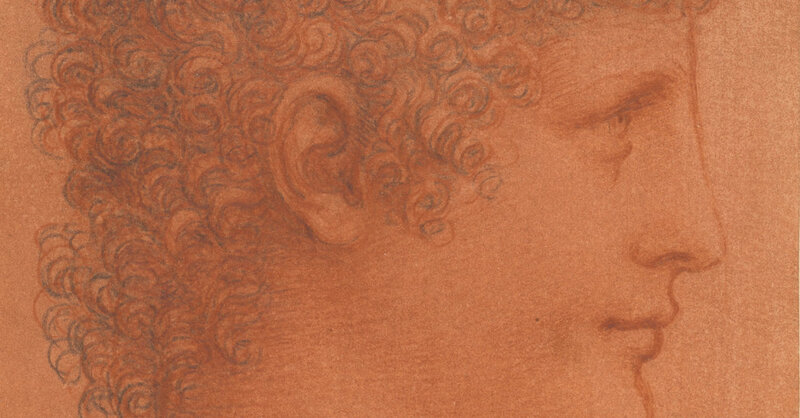 More than 50 drawings will be on display, including “Codex on the Flight of Birds” and “Face of a Young Girl.” Leonardo’s famous “Self Portrait” will also be on view. During a similar time period (April 19 — July 14), the Gallerie dell’Accademia in Venice will exhibit 25 drawings, including the rarely displayed masterwork “Vitruvian Man,” while the Sforza Castle in Milan is set to debut the newly restored Sala delle Asse room and show more of Leonardo’s work on May 2, the anniversary of his death. To explore these exhibits, other groundbreaking masterpieces and the places that shaped Leonardo’s life and art, travel outfitters are organizing tours across Western Europe. Audley Travel is offering a customizable 12-day trip through Italy, France and Britain designed to provide insight into Leonardo’s muses, peers and the sociopolitical climate of the Renaissance. “We’ve created a trip that traces the full arc of da Vinci’s lifetime, providing travelers a holistic and immersive look at his life and inspirations,” said Isabel Norman-Butler, a manager at the company. Red Savannah recently launched a new series of European itineraries that can be tailored to highlight art historian-guided visits of “The Last Supper” in Milan and jaunts to Leonardo’s birthplace in Tuscany that include private tours of Museo Leonardiano Vinci. Smithsonian Journeys has created “The Genius of Leonardo da Vinci: Celebrating 500 Years,” an eight-day tour through Florence, Vinci and Milan led by Ross King, an author and Renaissance history expert. Travelers can choose either a spring or fall departure, and on the trip Mr. King will discuss the connection between Leonardo’s scientific interests and his art (departure dates on March 23 and Nov. 9; rates from $4,995 per person, based on double occupancy). “I want travelers to explore a 15th-century Florentine culture and society that allowed a boy from the Tuscan boondocks to become one of the greatest artists and thinkers of all time,” said Mr. King. In France, European Waterways’ six-passenger luxury barge, Nymphea, will cruise the Loire Valley, where Leonardo spent the final years of his life, on weekly departures from late June through September (all-inclusive rates begin at $4,650 per person, based on double occupancy). The six-night cruise offers guided tours of Leonardo’s tomb at Château d’Amboise among its excursions, as well as visits to UNESCO-listed Renaissance castles and commemorative events taking place in the region.